Welcome to the review of the popular Xtend-Life Green Lipped Mussel Extract Powder. Its main function is an anti-inflammatory/anti-inflammation, joint and arthritis health supplement. Arthritis affects millions and millions of people around the world, and everyone suffers from acute and chronic inflammation, and this was what that led to Xtend-Life researching in-depth of how to help. And that's how the Xtend-Life Green Lipped Mussel Powder For Joint And Anti-Inflammatory came about. It is very well-received in global markets, and have been becoming increasingly popular in Asian markets such as Malaysia, Singapore, Indonesia, China, Taiwan and Vietnam. The green lipped mussel powder supplement helps to decrease inflammation in our bodies, and you will distinctively tell the difference. What Is Green Lip Mussel? The green lipped mussel, also known as the green shelled mussel, is a mussel that is found only in the beautiful land and waters of New Zealand. New Zealand is below/south of Australia, and is the last country just before south pole - it's very much untouched, and the people and government of New Zealand prizes and protects the nature and land there. I visited there with my wife on our 5-year-delayed honeymoon, and oh! I fell in love with the place. We visited north island, namely Keri-Keri, Whangerei, Rotorua, Hamilton - all are beautiful, but I think I love it at the northern tip. People tell us that the south side is more pretty/picturesque, but we'll visit and confirm later. It's really pristine and clean and clear, I love it. Why I harp on this is because it's so pristine, with little industrialization from south pole and New Zealand itself, the natural resources and animals/plants sourced in New Zealand are very, very pure, with little to zero taint. Ok, let's get back to the green lipped mussels, sorry for the detour there (read more and see pictures of my love for New Zealand here) - it's known to be a supergood and miracle food/supplement. It's classified as such because it has a full, complete nutritional profile and is one of the most dynamic foods in the world today. Clinically and testing shows that it holds its own when compared with other superfoods such as goji berries (wolfberries), bee pollen, and cayenne pepper but it has more healing/therapeutic characteristics, and the biggest one is its anti-inflammatory properties. Clinical and lab testings and research has demonstrated that the green lipped mussels have predictable anti-inflammatory effect that is natural-occuring BUT for it to be truly effective, it needs to be properly handled to preserve its healing/therapeutic qualities. minimize joint/jointal pain, and more pronounced in decreasing symptoms associated with arthritis. But for one to enjoy the full benefits of the green lipped mussels, it needs to be properly and carefully nurtured and handled. Clinical research and lab testings show that for us to enjoy the nutritional benefits of this superfood, we need to eat it in the freshest state and raw if possible. That is very, very difficult for many reasons, because not all of us stay in New Zealand (I wish I do stay there though heh), and by the time it gets transported over to United States, United Kingdom, Singapore, Malaysia - anyplace else, it wont be as freshly caught anymore. The only alternative then is to take it as a supplement. So then, we need to zoom in a bit more. Any nutritionist or raw food enthusiast will tell you that heat destroys enzymes, nutrients and nourishments...which is why handling the green lipped mussels health supplement gets tricky. Many supplement companies will not/cannot handle this supplement because of its low-temperature management requirements. You see, preserving and ensuring the highest possible valuable health and therapeutic benefits of the green lipped mussels lies in both the manufacturing process as well as the processes before and after it's processed. That's why Xtend-Life is confident that their raw ingredient is superior as it's found freshest in New Zealand itself (Xtend-Life is based in New Zealand) and that their manufacturing processes are superior to their competitors. Xtend-Life says that they have a unique method to preserve the enzymes of nutrients of the green lipped mussels to make it into a highly beneficial health supplement. What happens is that most companies utilizes the "common and usual" method of freeze-drying, and problem with this is that it actually destroys all the nutrient value of the mussels because it freeze drying causes “enzymatic oxidation and chemical oxidation” which can destroy up to 50-60% of nutrients in fruits and shellfish (like green lipped mussels). Enzymatic oxidation happens when enzymes in the green lipped mussels start to breakdown (known as "oxidation" - note: rust on metal is also oxidation). This causes the organic materials around it to also breakdown, and this slowly breaks down the therapeutic nutrients and benefits associated with green lipped mussels. Now the real problem (and a hush-hush unspoken secret) is that enzymatic oxidation in green lipped mussels is impossible to be prevented. It will happen, and the difference is the extent. And how its managed and time frame to manage it is what that makes all the difference. So what Xtend-Life did is to develop a special unique method of very fast but accurate processing (remember I mentioned two factors are important: time and special handling) that severely slows the rapid onset of enzymatic oxidation. Note: being in New Zealand is possibly one of the largest benefit, as it'd limit breakdown from travel-related delays (a manufacturer in China/US will need to take 10-30 hours to get the green lipped mussels, but Xtend-Life may need minutes or max an hour - BIG difference). Xtend-Life says that it developed the process to take multiple one-tonne (1000 kg) bins of freshly caught green lipped mussels and separate its flesh/meat from their shells, then break it down to liquid (slurry), spray the liquid dry and then package the powder-form - all in just 30 minutes. Most supplement companies would likely still have barely begun their freeze-dry process. 30 minutes of process time from start to finish ensures that close to 100% of all the healing/therapeutic benefits and potency of the green lipped mussels is retained. is the 30 minute process that important? In fact, other than the green lipped mussels have short delivery time to Xtend-Life facilities in Christchurch New Zealand (#1 factor), the #2 factor will be the 30 minutes proprietary process. Competitors will take days to process the extended-delivery mussels, which then less than 10% nutrients remain. Being so close to source and such short 30 minute processing allows Xtend-Life green lipped mussels powder supplement to retain close to 100% of its therapeutic/health benefits - a marked advantage. Xtend-Life also says that they do not blast or cook the raw mussels with high temperatures to they will preserve the organic lipids and the heat-sensitive mucopolysaccharides (MPS) that contains all the vital nutrients and benefits. This is why taking Xtend-Life's green lipped mussels powder supplement will be similar to one eating fresh and raw green lipped mussels from New Zealand - with maximum health and therapeutic benefits. On top of that, Xtend-Life and independent lab testing shows that 80% and above of the supplements are assimilated and absorbed by the users. 80% is a very, very high absorption rate - most companies supplements will fall far short from 80%. Xtend-Life says that it can provide full paper trail and traceability for their green lipped mussels, and what this means is that they know exactly where they source their mussels from, and can prove it. All their green lipped mussels are sourced from pristine Marlborough Sound off New Zealand’s south island (I went to north island, so south island is the one I missed). Xtend-Life also says that they made a special arrangement and agreement to get all their green lipped mussels from one main mussel supplier that has met their quality standards. All these lead to Xtend-Life's high quality Green Lipped Mussels Powder supplement which has more than 200% the amount of mussels equivalent found in the oil product with almost 100% of the MPS/therapeutic benefits being preserved. Side note: scientists are researching more into MPS, believing that MPS helps with anti-aging (due to its anti-inflammatory characteristics). Each bottle contains 120 capsules of the supplement, and Xtend-Life says that you should take 4 capsules a day, so that'd mean that one bottle will last you for 30 days. Every bottle is also stamped with a Certificate Of Analysis (COA) that certifies the exact date the raw nutrients/ingredients were certified as high quality and purity. One bottle sells for $31.25 USD (United States Dollar). Xtend-Life provides a full 365 days money back guarantee, or full product replacement (whichever you prefer), if you're not totally satisfied with any of their health supplements or skincare products. I really like their confidence and integrity because that's how I run my own businesses too - money has to be well earned, and I prefer not to keep any profits/revenues if my customers aren't happy or satisfied. We love your products. I gave a bottle of Green Lipped Mussel to a friend who complained about pain in his joints. And he claims that a week after taking the supplement he has great improvements. But then his wife developed wrist pain from computer use, and she is taking now four pills of green-lipped mussel a day and [the] pain disappeared. I hope they will become your clients as well. I’m really impressed by your green lipped mussel powder product. Its anti-inflammatory properties literally started working for me the day I started taking it. I’m not exaggerating. I’ve got a lot of aches and pains due to working out, and I’ve had a bad back for years (my lower back specifically). This product alleviates those pains. I was worried at first by the cost of your supplements until I realized they are pharmaceutical grade — that’s a big deal! I’m not willing to skimp on my health so I’m willing to pay for quality, highly assimilable supplements. The green lipped mussel product really does the job. It has my full endorsement, and my congratulations on producing such a great product. What Are The Negatives and any customer complaints? #1: If you have allergies to any kinds of shellfish, or have sensitivity to them, please do not take this supplement. It is after all, derived primarily from green lipped mussels. #2: In the first few weeks/months, you may get the "common fish burp" - this will occur until your body gets used to it. #3: the capsules have a slight smell (it's a vegetable based capsule and are not in tablet form) to it; not overwhelming/overpowering, but it's there. #4: also, you may be able to slightly taste #3 when you put it into your mouth, but it's very shortlived, until you swallow with water (other beverage) and then the taste will be gone. Where Can I Find Out More About the green lipped mussels powder Supplement? If your orders are $60 USD and above, you get free delivery to anywhere in the world you may be. But if your orders are below $60, you will be billed a flat $6.50 USD shipping fee, again to anywhere in the world. I'm happy to say and see that Xtend-Life is very committed to product quality and purity. Their green lipped mussels are freshly sourced from a single provider who meets their quality standards. 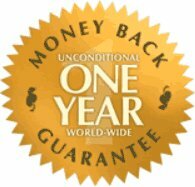 They have raving fans and testimonials, and a solid 365 days money back guarantee too.